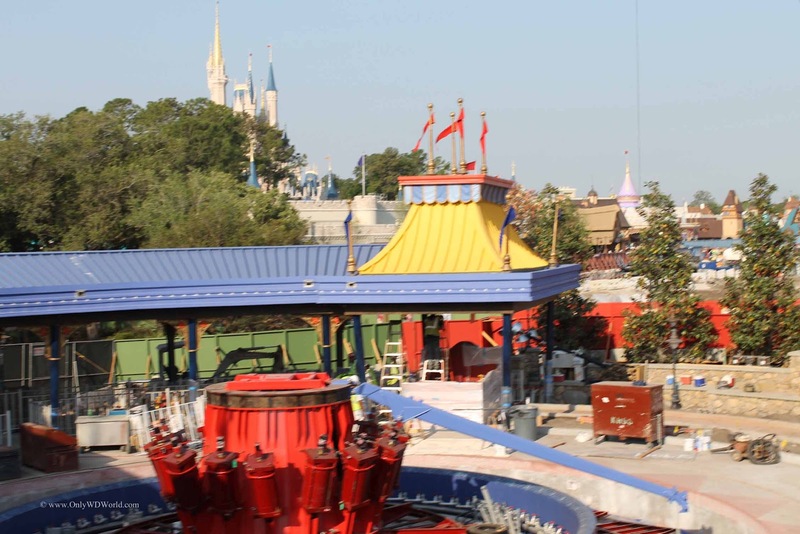 The Walt Disney World Resort is undergoing a major construction project in the Magic Kingdom Theme Park where Fantasyland is receiving its largest expansion ever. Recently the first phase of the expanded Fantasyland has opened including the 1st part of the new Dumbo The Flying Elephant attraction and the revitalized Barnstormer Roller Coaster Starring The Great Goofini. Disney World has now released the expected opening dates for the remainder of the new attractions. The next phase of Storybook Circus including the 2nd half of Dumbo The Flying Elephant attraction and the Casey Jr. Splash n' Soak Station. Under the Sea ~ Journey of The Little Mermaid, Enchanted Tales with Belle, Be Our Guest Restaurant, Gaston’s Tavern, and Ariel’s Grotto. Which attraction are you looking forward to experiencing? Is it one of the new rides or perhaps the innovative new Table Service Restaurant. Leave a comment to let us know! 0 comments to "Opening Dates Announced For Remaining Disney World Fantasyland Attractions"